Creating something from nothing is always exciting. 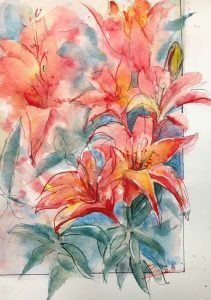 This entry was posted in Plein Air, Watercolor Floral on July 16, 2018 by Colleen. Plein Air Sunday – Trees, and uh, Trees. Summer is hot! But not if you travel 60 minutes to a mountain cabin near Lake Tahoe. 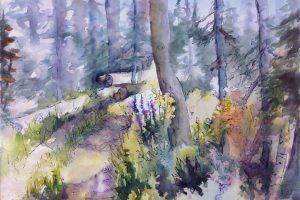 This entry was posted in Plein Air on July 13, 2018 by Colleen. 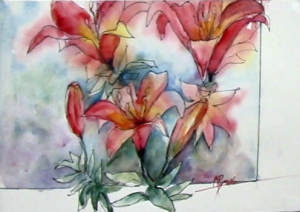 This entry was posted in Watercolor Floral and tagged art, colleen, create, floral, painting, reynolds, watercolor on June 26, 2018 by Colleen. © 2018 Colleen Reynolds. All Rights Reserved.